Compared to Bonnie Pink and having worked with Cocco's producer, Shiratori Maika joins the ranks of Japanese women singer-songwriters creating music on their own terms. After graduating from high school, Shiratori went to study at Cambridge in England. Three months later, she started to miss the feel of the city and moved to London. Shiratori moved back to Japan a few years later. A demo tape she recorded in 1998 attracted the attention of many record companies, but ultimately, labels passed on Shiratori for not having her own original songs. 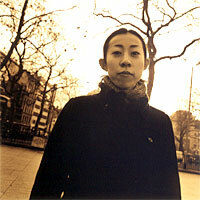 Shiratori dove in and started writing her own songs, and in 2001, she released her first single, "Shelter". Pony Canyon released her debut album, Hanazono, in April 2002. Still, Shiratori possesses a keen sense of interpretation. Her singles have included covers of Radiohead's "Fake Plastic Trees" and R.E.M. 's "Drive".